A British Columbia court in Canada today rejected an appeal by Nevsun Resources Ltd that sought to dismiss a lawsuit brought by a number of Eritrean workers who allege they were forced to work at Nevsun’s Bisha Mine in Eritrea. A lower Canadian court last October has refused to permit a claim against Nevsun to proceed as a common law class action, however, did permit the lawsuit by the three named plaintiffs to proceed in British Columbia. Their judgment makes no findings with respect to the plaintiffs’ allegations, including whether any of them were in fact at the Bisha Mine. Nevsun had appealed the ruling, arguing the case should be dismissed and that any lawsuit for an alleged abuse committed at an Eritrean mine should be heard in Eritrea, not Canada. The three British Columbia Appeals court judges, however, rejected Nevsun’s position. 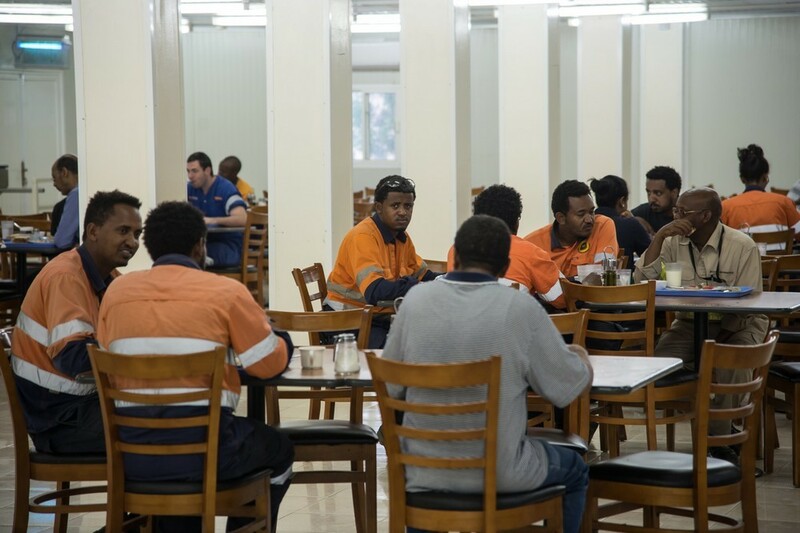 The Eritrean men in their lawsuit allege that Nevsun’s local contractor, Segen Construction Company, which is owned by the Eritrean government, forced them to work (2008-2012) on projects at the Bisha mine, when they were conscripts in the country’s national service system, at under abhorrent conditions and that Nevsun “expressly or implicitly approved” the use of “slave labour”, a practice that may constitutes crimes against humanity. The Court of Appeals allowed claims of crimes against humanity, slavery, forced labour, and torture to go forward against Nevsun as well. In legal filings, Nevsun said, the Eritrean military never provided labor to the mine. Even if it did, the company argues, Nevsun was not directly responsible for employing the workers. It is the first time that a Canadian appellate court has recognized that a corporation can be taken to trial for alleged violations of international law norms related to human rights. “We are very pleased that the case will move to trial,” said Joe Fiorante, Q.C., of Camp Fiorante Matthews Mogerman LLP, lead counsel for the plaintiffs. Since the initial filing by three Eritrean men, which was the matter reviewed by the Court of Appeal, an additional 51 people have come forward to assert claims against Nevsun. The plaintiffs are supported in Canada by a legal team comprised of Vancouver law firm Camp Fiorante Matthews Mogerman LLP (CFM); Ontario law firm Siskinds LLP [Nick Baker]; Toronto lawyer James Yap; and the Canadian Centre for International Justice (CCIJ). * Reuters and CCIJ contributed to the above story.